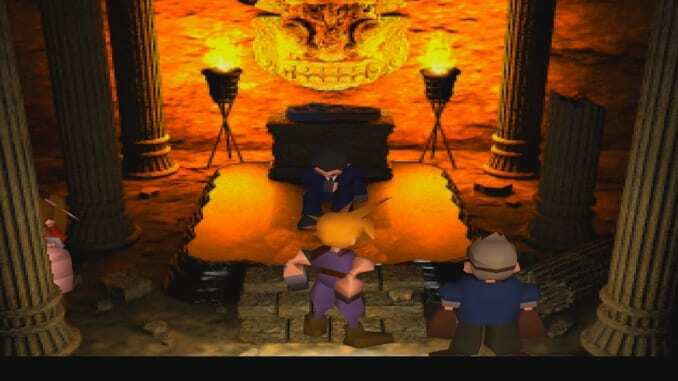 A complete walkthrough for Temple of the Ancients in Final Fantasy 7 (FFVII) including enemies encountered, obtainable items, and boss strategy guides. Great Gospel Weapon Store near Gongaga. You must have talked to the sleeping man in the cave near Junon. Mythril is needed to obtain the manual. Omnislash Buy for 64,000 BP in the Gold Saucer Battle Arena. Costs 32,000 BP from Disc 2 onward. 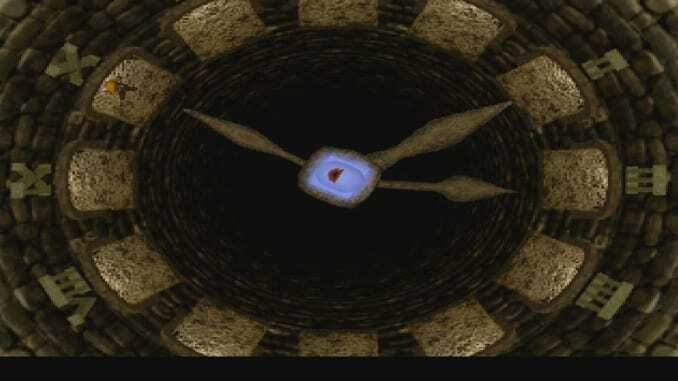 Nail Bat Temple of the Ancients, bottom of the Time Guardian’s room. 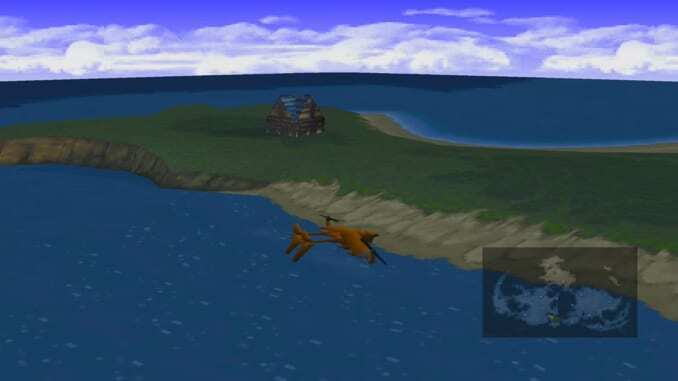 Travel to the Weapons Store, a small house surrounded by the sea near Gongaga, and talk to the owner. You can obtain Great Gospel here. 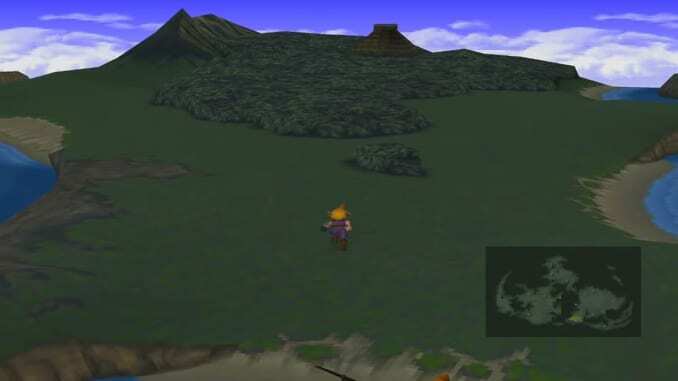 Optional: Complete Wutai Side Quest and Wutai Pagoda Side Quest. Limited to Disc 1 and 2. Travel to North Corel and use the tram to reach the Gold Saucer. Head to Dio’s Showroom in Gold Saucer and accept his challenge. Defeat the enemies in the Battle Arena. Head to the Temple of the Ancients. Follow the Temple Guardian’s directions. Get past the stone wheels in the corridor and reach the Time Guardian’s room. Collect the various items in the different rooms before proceeding to the mural hall at 6 o’clock. Head to the mural hall. Catch up to the temple guardian. Head back to the mural hall and shake the model and run outside the area. You can choose to remove any armor that Aerith has on, since she will soon be removed permanently from the game. You will get back all accessories and materia equipped to her, but not armor. Proceed to the room at 12 o’clock and battle Demon Gate. 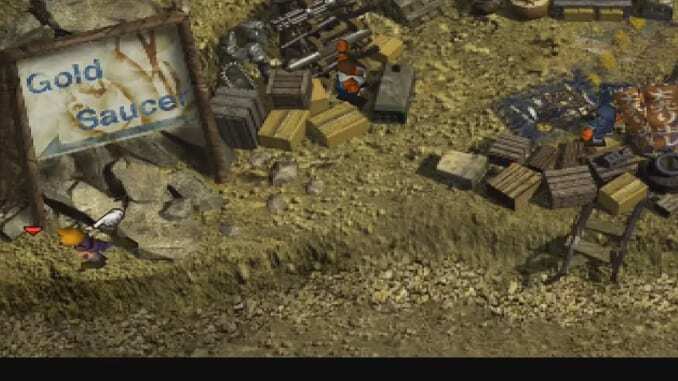 1) Find the Weapons Store near Gongaga. The weapons store near Gongaga houses Aerith’s Final Limit Break Great Gospel. It is an extremely valuable ability that casts both Planet Protector, which grants temporary invincibility, and Pulse of Life, a full heal on the entire party. You can trade for it with the Mythril obtained by talking to the sleeping man in the cave near Junon. The Great Gospel manual is found in the small safe on the wall on the upper floor. It is the farthest one on the left. 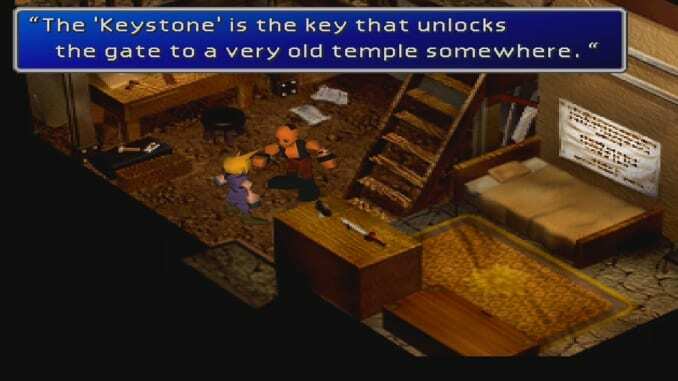 The owner of the weapons store will also tell you the whereabouts of the Keystone you need to enter the Temple of the Ancients. 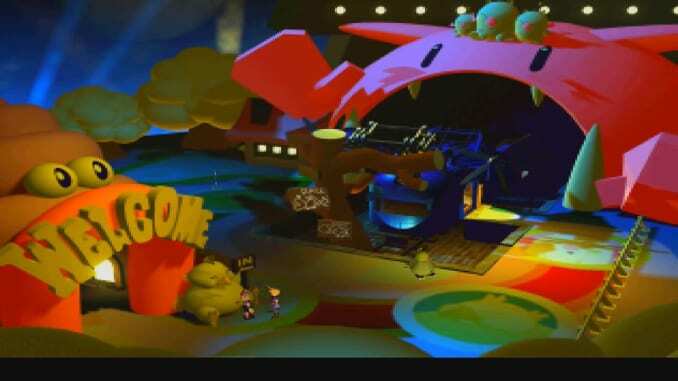 The Keystone is in Dio’s possession in the Gold Saucer. Head to North Corel and use the tram to get to the Gold Saucer. To get the Keystone from Dio, you will need to complete a challenge alone in the Battle Arena. After doing so, he will give you the stone as well as a Protect Vest and Chocobo Feather. A light event where Cloud will go on a date with a member of his party will proceed during your stay in the Gold Saucer. Depending on your past interactions, you can end up on a date with Aerith, Tifa, Yuffie, or even Barrett. Note that having reached the Gold Saucer makes it possible to obtain Cloud’s Final Limit Break Omnislash. You can exchange 64,000 BP for it in the Battle Arena. This might be a challenge, especially this early in the game. You can come back later and obtain it for 32,000 BP from Disc 2 onward. After preparing your equipment, board the Tiny Bronco and head southeast from the Gold Saucer. You will find an island with a pyramid-like structure surrounded by a forest. You will encounter insect enemies called Slaps on your way to the temple. Resupplying with healing items will help you get through the area. There will be various items scattered around the central labyrinth in the temple. 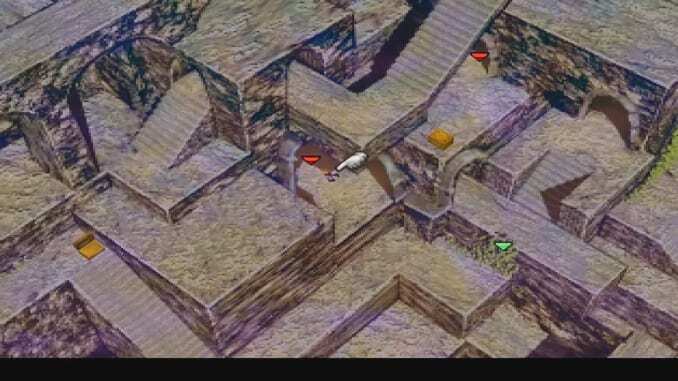 The Trident can be obtained in a gold chest in the middle of the area. You can also get Rocket Punch and Silver Rifle, as well as a Mind Source, a Turbo Ether and a Lucky Plus materia. When you catch up with the sage in the highest room on the left side of the area, you can have your HP and MP restored. You can also buy some items in case you need to restock. Don’t forget to save your game as well. 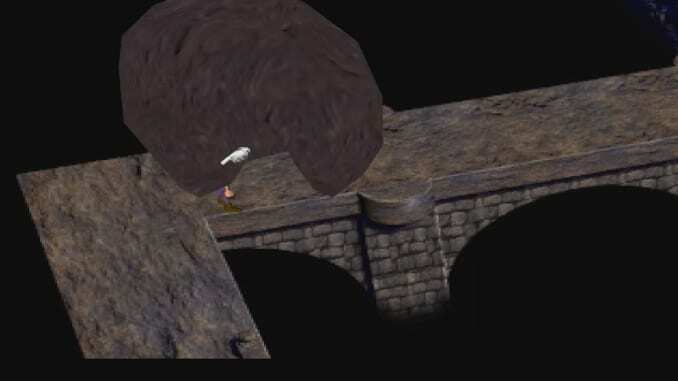 8) To the next area and passing the corridor with the stone wheels. The next area can be accessed by entering the passage indicated in the image. When you reach the path with the stone wheels, time your advance to continue unharmed. If you fail, you can just repeat the process afterward. 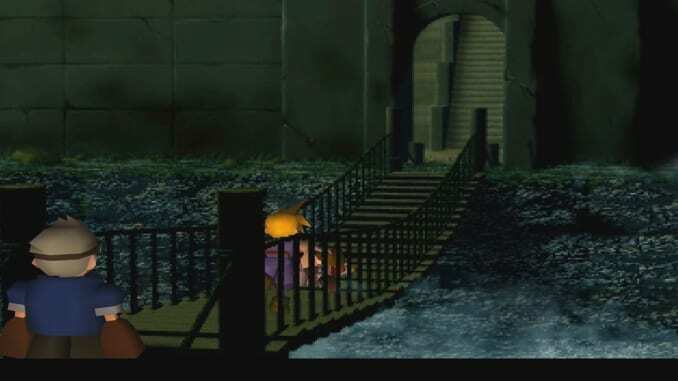 Aerith will lead you toward the pool in the middle of the path. Grab the Morph materia here as well. Move forward to the end of the path. 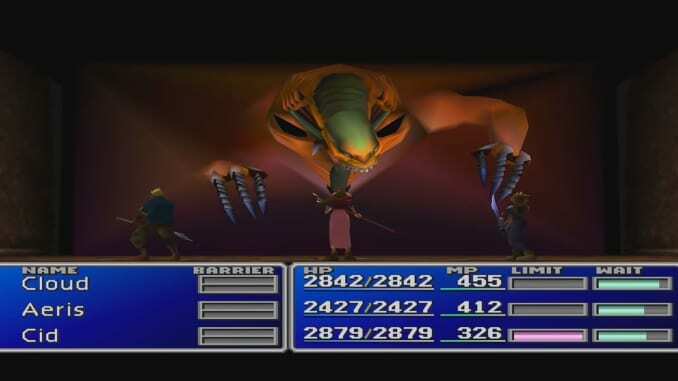 You can restore your HP and MP as well as save your game when you catch up to the guardian. 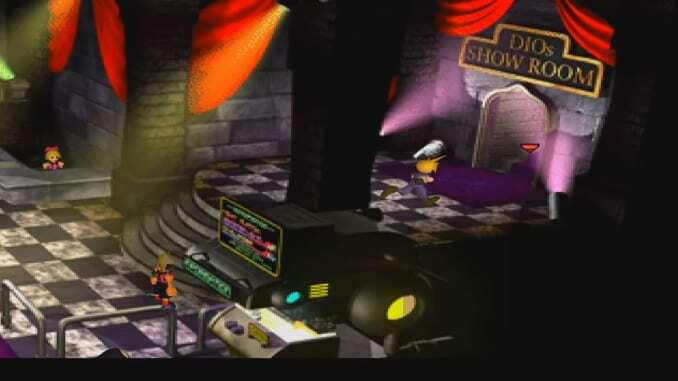 Many rooms are connected to the Time Guardian’s room. Use the list below as a guide on each clock position and what each room contains. If you get knocked off by the hands to the area below, you can obtain the Nail Bat (Cloud’s weapon) in a chest. 1 o’ clock: Treasure chest that results in a random enemy encounter when opened. 2 o’ clock: Dead end. 3 o’ clock: Treasure chest that results in a random enemy encounter when opened. 6 o’ clock: Leads to the mural hall. Do not proceed here unless you have obtained everything you need from the other rooms. 8 o’ clock: Treasure chest that contains Megalixir. 9 o’ clock: Dead end. 10 o’ clock: Returns to the corridor with the pool. 11 o’ clock: Dead end. 12 o’ clock: The temple’s rear entrance. The mural hall requires you to catch up with the guardian as he speedily jumps from one cave to another. 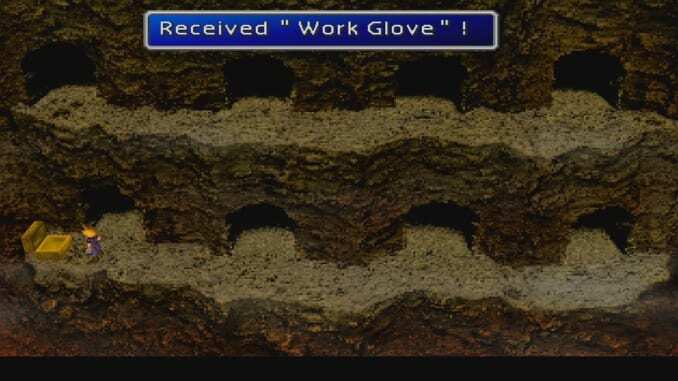 Jump down and get Work Glove at the lowest area first. An easy way to catch the guardian is by following the table below. Cave doors are marked from left to right going down. After catching up to the guardian, heal and save your game. Using Big Guard against the boss makes the fight very easy. 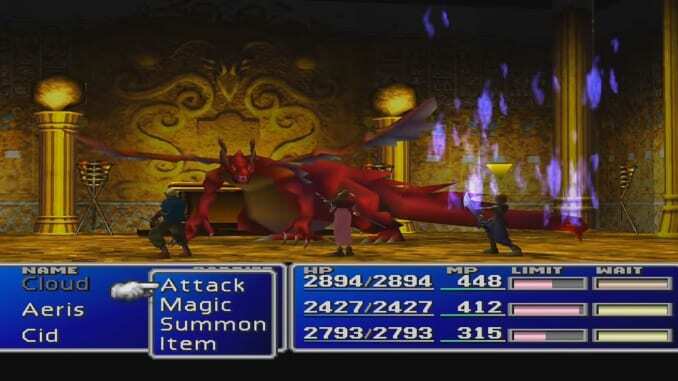 The boss uses fire-based attacks but doesn’t hit very hard. You can use summons, especially Odin, to burst it down quickly. Avoid using any fire magic, as Red Dragon will absorb it. The boss also has strong resistance against Gravity. If you have any poison magic like Bio, now is the time to use it. The boss is extremely susceptible to it. You will obtain Dragon Armlet as a reward after the fight. Grab the Bahamut summon materia in the area as well. Proceed further down the path and interact with the model of the temple floating in the air. Choose to shake it and then proceed outside. Heal and save when you come up to the guardian. 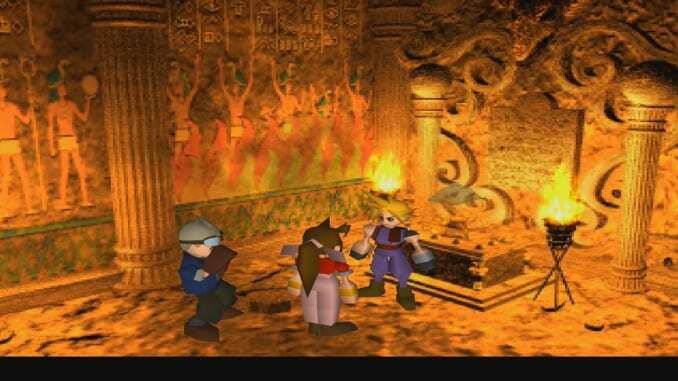 Back in the Time Guardian’s room, head down the 12 o’ clock path for a boss battle. It is important that you unequip any special or useful armor from Aerith, as she will leave your party permanently after the boss fight. Any materia or accessories she had equipped, however, will be returned to you. Big Guard is extremely effective for this fight as well. You can also try to cast defensive buffs like Haste and Barrier while regularly healing your party. The boss takes damage from physical attacks. 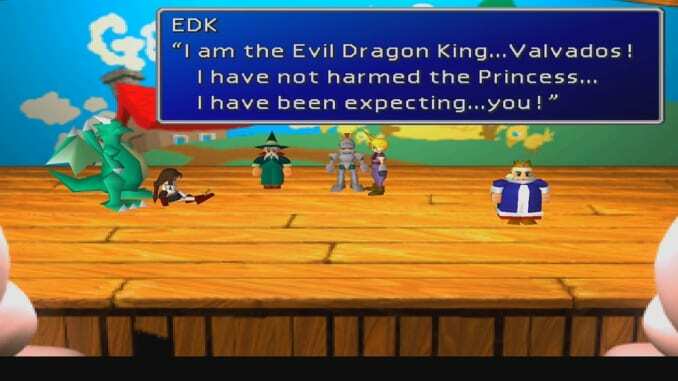 All other spells and summons, with the exception Bahamut, will not be effective. Use Limit Breaks as often as possible, especially Aerith’s Great Gospel to gain temporary invincibility. Vincent’s Death Gigas morph will also deal a lot of damage to the boss with Gigadunk. Just remember to have an option to heal at all times and you should defeat the boss eventually. When the boss fight ends, a cutscene will play to end the events at the Temple of the Ancients.